NBC News' Richard Engel is reporting that what President Trump divulged to the Russians during a private White House meeting last week "wasn't anything they didn't already know." Engel wrote Monday on Twitter (cleaned slightly for clarity): "US intel official tells me Trump told Russians about laptop airline threat. Told it wasn't anything they didn't already know." "US intel official says Trump was trying to show Russians 'how cooperative he wants to be with them' in fight against ISIS," he wrote. "US intel official says Trump talked about ISIS interest in laptops, which is why laptops of such concern these days. Says not new info." If that's true, the only fallout from The Washington Post sharing leaked classified information is going to be the strain it could put on our relations with the unnamed US "ally" that gathered the intelligence and may have not wanted for it to be shared with Russia. [...]sharing the information without the express permission of the ally who provided it was a major breach of espionage etiquette, and could jeopardize a crucial intelligence-sharing relationship. In fact, the ally has repeatedly warned American officials that it would cut off access to such sensitive information if it were shared too widely, the former official said. The partner had not given the United States permission to share the material with Russia, and officials said Trump’s decision to do so endangers cooperation from an ally that has access to the inner workings of the Islamic State. 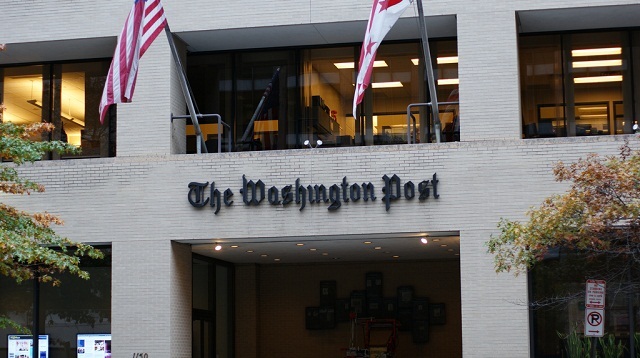 In their crusade to take down Trump by any means necessary, The Washington Post -- working together with deep state leakers -- essentially leaked classified information to this unnamed ally and let it be known this information was shared without their "express permission" and possibly against their wishes. It's fully admitted nothing Trump did was illegal as he has broad authority to divulge classified information, yet by publishing leaked classified information purely to manufacture a fake scandal and undermine Trump's presidency, The Washington Post, not Donald Trump, has put our national security in jeopardy.